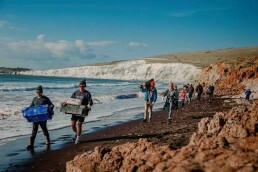 “The annual SAS Big Spring Beach Clean has sprung round once again! With the Isle of Wight working towards a ‘Plastic Free Coastlines’ status, now is the time to come and join us and help get one step closer to being ‘Plastic Free Approved’! 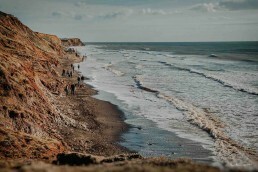 Last Autumn we had a huge 130 people sign in and help clean Compton Bay in the Autumn Beach Clean Series! This year we are hoping for more! Meet at Compton Car Park, (Hanover Point) sign in from 2pm, register your details, grab a bag and a glove. From 2:30 we will go down as a group and do a mass clean after a small briefing. Prizes will be available and fingers crossed some sunshine and warm weather! … What a great opportunity to make a real difference to our coastline, tidy up one of the Island’s most loved spots, improve water quality and spend a day at the beach! Dig out your wellies, roll up your sleeves, bring the kids, bring the dog and get involved!